Thomas Addis Emmet was born in Ireland on April 24, 1764, the son of Robert Emmet, physician to the Lord-Lieutenant of Ireland. He graduated from Trinity College, Dublin and enrolled at the University of Edinburgh in Scotland, from which he graduated with a degree in medicine. Following the death of his elder brother, a leading Irish barrister, Thomas agreed to his father's request that he read law at London's Temple Inn. He was called to the Bar in Ireland in the Michaelmas Term of 1790. As a barrister, he principally represented prisoners charged with political offenses. In the early 1790s, Emmet became legal advisor to the Society of United Irishmen, an alliance of Presbyterian radicals and Catholics. It was a secret, nonsectarian, military organization, and its objectives were parliamentary reform based on universal male suffrage, Catholic emancipation and the elimination of British rule in Ireland. When Dublin Corporation issued a declaration of Protestant ascendancy in 1792, Emmet drew up the counter-manifesto of the United Irishmen, and in 1795, he took the oath of the society in open court. In 1796, the British government enacted three statutes -- The Insurrection Act, the Suspension of Habeas Corpus Act and the Martial Law Act--and the Society of United Irishmen, inspired by the American and French revolutions, planned an uprising. Before any hostilities took place, the leaders of the society, including Thomas Addis Emmet, were arrested on charges of treason and conspiracy, and were imprisoned. When the uprising took place that summer, it was easily quelled by the British forces. Emmet and his associates were released from prison in 1802, on condition of permanent exile to a country not at war with England. Emmet moved to France and supported his younger brother Robert in planning another uprising. In 1803, when Thomas learned that Robert, who had led a second failed rebellion, had been hanged by the British authorities, he emigrated to the United States. Upon arrival in the United States, Thomas Addis Emmet sought admission to the New York bar, but his application was opposed by leading Federalists on the grounds that he was an alien revolutionary. Abraham Van Vechten moved in the New York Supreme Court of Judicature for an order admitting Emmet to the bar, arguing that because the New York statute regarding attorney admission required neither an oath of abjuration nor an oath of allegiance, Emmet's alienism was no bar to admission to the legal profession. 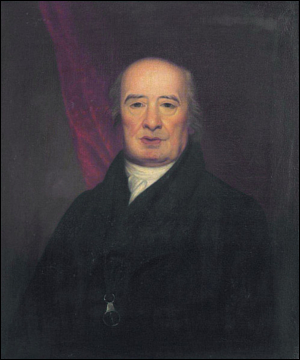 The Court granted the motion on the grounds set out in Van Vechten's motion, and Thomas Addis Emmet was admitted to practice in the February Term of 1805. Quickly gaining a reputation for excellence (Judge Story said of him that he was "by universal consent in the first rank of American advocates"), he served as Attorney General of New York in 1812. Emmet then returned to his thriving practice. The New York Law Reports indicate that he argued over 300 cases before the New York Court of Chancery, the New York Supreme Court of Judicature and the New York Court for the Correction of Errors, including the John Van Ness Yates cases, Livingston v Van Ingen, Livingston v Mayor of New York, In re Waldron and Gibbons v Ogden. Emmet also argued many cases in the Supreme Court of the United States, including Gibbons v Ogden, Sixty Pipes of Brandy (23 U.S. 421) and The Schooner Andeline (13 U.S. 244). The Law Reports of other States indicate that he was retained to argue cases throughout the nation. Thomas Addis Emmet died on November 14, 1827, while arguing the Snug Harbor in the New York Circuit Court before Associate U.S. Supreme Court justice Smith Thompson sitting as a Circuit Court judge. Thomas Addis Emmet. Memoir of Thomas Addis and Robert Emmet, with their ancestors and immediate family (1915).